Aguhnfi Faith Balanku is an indigene of Taraba State. She was born on the 8th of August 1995. Balanku attended Alama Private School (Primary School), Executive Child Model Academy (Junior Secondary School), Federal Government Girls College, Jalingo and Alama Private School (Senior Secondary School), University of Jos (Diploma in Mass Communication), The Theatremass Consult linkages (TCL) Camera School Jos (Certificate course in Basic camera operation). She started photography in 2016 after her diploma in TCL Camera School. 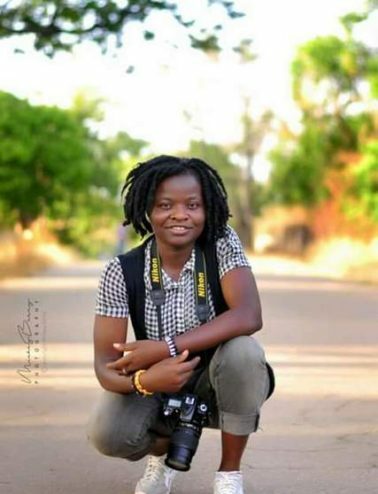 From then, her appreciation for photography developed to give her a voice to express her imagination, connect with people and share ideas as well as learn. Balanku is inspired by things ranging from people to places and other artists works. Photographers like TY Bello and Stephanie photography are a great inspiration and source of encouragement to her and she hopes to follow in their footsteps and be a voice in her generation through photography. She enthuses “I hope to creatively capture moments and convert them into awesome memories as well as train others to be skilful in photography. I hope to be able to travel to places, meet amazing people, take amazing photographs and represent my country and continent well. I also intend to be a TV journalist someday”. Balanku intends to study TV journalism and hopefully combine photography and journalism in the future.